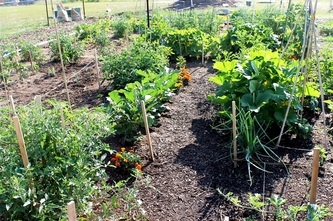 The idea for a community garden at the Colonial Presbyterian Church in Overland park revolved around making better use of the amount of land located on the church's Quivira campus, and growing crops that could be used by area food pantries, homeless shelters and other organizations that feed need families and individuals. In 2012 approximately 2,000 lbs. 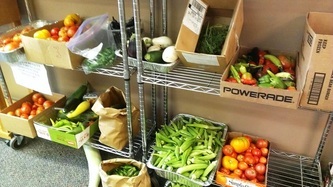 of fresh produce grown on the one acre garden was donated to the Salvation Army and other local food pantries. One of the gardeners shared that while delivering produce to the Salvation Army one of the families picked up fresh okra and a watermelon with tears of appreciation in their eyes, so happy for the "home-grown" produce. In addition to the communal garden where produce is grown for charitable purposes, an allotment garden offers a choice of two sizes of rental plots. 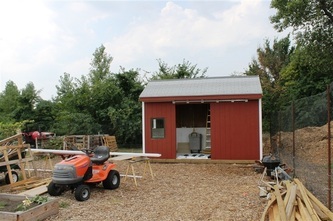 The church preschool is also active in the garden project. Grant funds were used to purchase fencing and to install a pump and irrigation system to utilize ponds located on the church property.